John Perry Barlow (10-3-1947 to 2-7-2018) American poet, essayist, psychonaut, cattle rancher, revolutionary, political activist and cyber-libertarian... is gratefully dead at age 70. 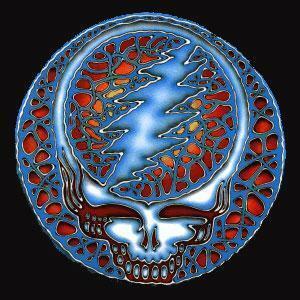 He was first/best known as lyricist for that great American, Dionysian, Psychedelic Cult Rock band, the Grateful Dead. The songwriting team of Barlow and rhythm guitarist, Bob Weir, were responsible for such Dead classics as: Black-Throated Wind, Cassidy, Estimated Prophet, Lazy Lightnin’/Supplication and Lost Sailor/Saint of Circumstance. 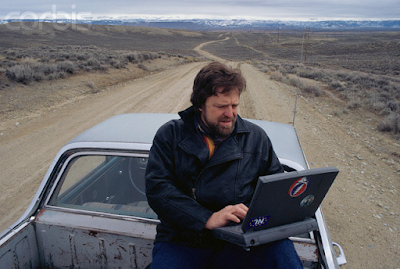 Barlow was second/best known for his work in digital freedom and as a founding member of the Electronic Frontier Foundation and the Freedom of the Press Foundation. Barlow’s “A Declaration of the Independence of Cyberspace” became the definitive statement for all who cherish a free and open internet. He was Fellow Emeritus at Harvard University's Berkman Center for Internet and Society, where he had maintained an affiliation since 1998. John’s passing marks a sad day for cyberpunks and Deadheads alike. He will be missed. …holes in the knees of my blues. I never could read no road map. I don't know what the weather might do. I got a feeling there's no time to lose... no time to lose. …so I'm sure that I can dance. ...just a tiger in a trance. - John Perry Barlow, from "Saint of Circumstance"